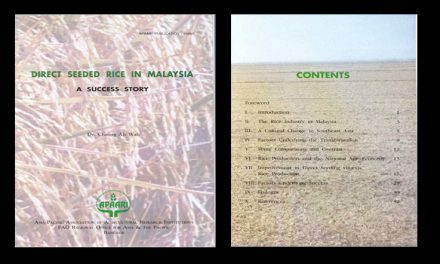 Pests and diseases adversely affect crop productivity and the stability of production in the tropics. In India, the annual losses amount to Rs. 45,000 crore. Recently, annual crop loss due to Old World bollworm, Helicoverpa armigera in India has been estimated at around Rs. 2,000 crore despite the use of insecticides worth Rs. 500 crore in 1998. With the new liberal trade policies several exotic insect pests have entered the country viz., subabul psyllid, Heteropsylla cubana on subabul, Leucaena leucocephala (1988); leaf miner, Liriomyza trifolii complex on several plants (1990); coffee berry borer, Hypothenemus hampei on coffee (1991); spiralling whitefly, Aleurodicus dispersus on several plants (1993); coconut eriophyid mite, Aceria guerreronis on coconut (1998) and whitefly, Bemisia argentifolii (1999) on tomato and other hosts. Alien species are recognized as the second largest threat to biological diversity, the first being habitat destruction. The exotic pests in the absence of their natural antagonists, which they leave in their original home, cause unprecedented damage. Economic impact of invasive pests is tremendous. Exotic weeds (aquatic, terrestrial and parasitic) interfere with cultivation of crops, loss of biodiversity (native plant species are displaced) and ecosystem resilience, loss of potentially productive land, loss of grazing and livestock production, poisoning of humans and livestock, erosion following fires in heavily invaded areas, choking of navigational and irrigation canals and reduction of available water in water bodies. The Convention on Biological Diversity (CBD), as an outcome of the 1992 Rio Summit, recognizes the risk posed by the alien species and requests contracting parties to “prevent the introduction of, control or eradicate those alien species which threaten ecosystems, habitats or species” (Article 8.h.). Biological control, i.e. conservation, augmentation and introduction of exotic natural enemies, has been accepted as an effective, environmentally non-degrading, technically appropriate, economically viable and socially acceptable method of pest management. 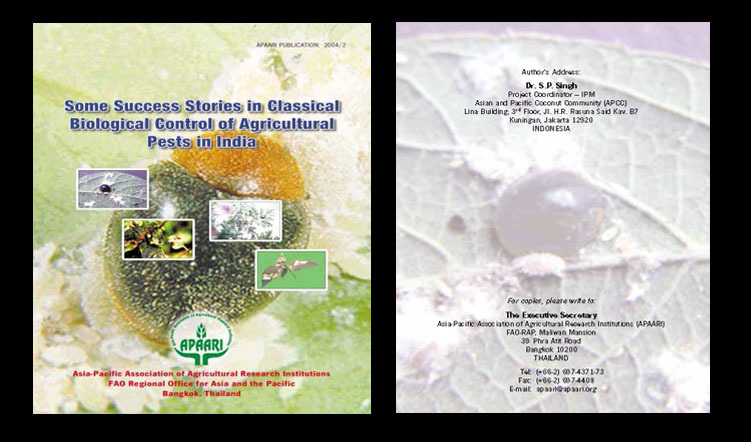 This publication has been prepared with a view to elucidate the information on classical biological control in India. It will be very useful for a large majority of readers of scientific literature, policy makers and scientists. 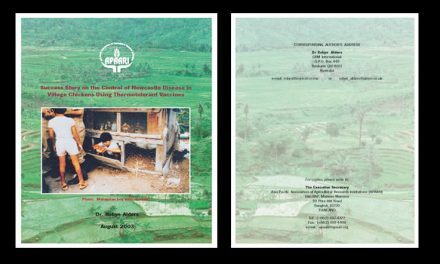 The publication will serve as important reference to the members of APAARI countries and encourage adopting this system of pest management for exotic pests.